Same article as R-10-04-05-G, but nickel-plated instead of gold-plated. 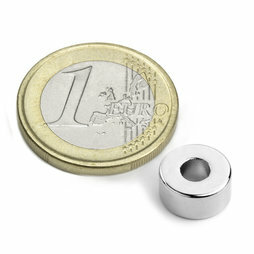 Ring magnets are not suitable to screw in because they may break. Use Pot magnets with counterbore screw-on.